Microsoft Gets "Knickers in a Twist"
The latest Microsoft marketing strategy... 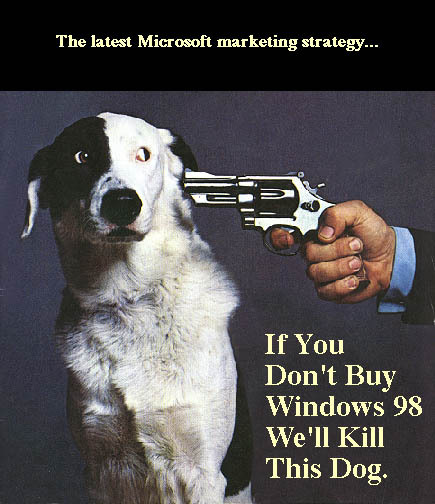 If You Don't Buy Windows 98 We'll Kill This Dog. Most of these came from Yucks, RISKS, and off the Net. Authors have been given credit where possible. If you know who wrote a certain piece, please let me know so I can give them credit.